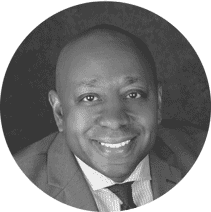 Terrell Sarver is the Vice President Managing Director of Rainstar Capital Group a multi strategy private equity firm. Mr. Sarver brings extensive experience in commercial real estate, corporate finance, small business and equipment financing needs. He is also the Founder of Be Men Inc. an organization focused on empowering men to be leaders in their homes, communities, local churches, careers and business. Mr. Sarver fundamentally believes that a sound educational foundation starting in early elementary is a tool that can afford students living in disadvantaged situations the skills to go to college and gain upward mobility in life. Mr. Saver is currently working to earn his B.A. in Ministry Leadership from the Advance Ministries Institute.